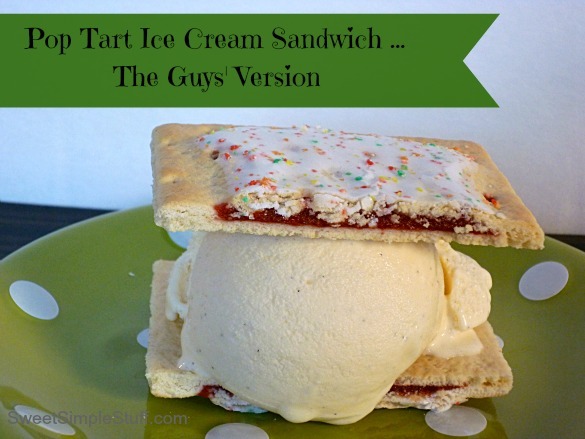 Several weeks ago, I read a short article in the Los Angeles Times that Pop Tart Ice Cream Sandwiches are being test marketed at a Newport Beach Carl’s Jr. (Hardee’s). I wondered … are the Pop Tarts toasted … are they frosted … how big are they … I’m not driving to Newport Beach to buy one! 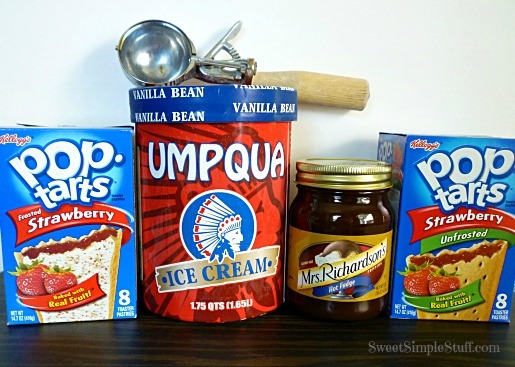 I should admit that Pop Tarts were one of my guilty pleasures and have not been in my house for many, many years! Several days later, Son #3 and I had listened to the same morning radio program where these Pop Tart Sandwiches were discussed … similar questions came up. I mentioned to Son #3 that I have not bought Pop Tarts since he was just a little guy … he claimed that I have never bought them. I told him that I remember buying unfrosted Strawberry Pop Tarts, because that is what I liked when I was a child. I would allow him and his brothers have one as a treat with scrambled eggs for breakfast, occasionally. He has no memory of this ever happening and claims that he was a deprived child! Is it possible that I stopped doing this before he was born? I don’t know … but I do know that I have never bought frosted Pop Tarts or tasted one! My way is with a lightly toasted, unfrosted Pop Tart, vanilla bean ice cream and hot fudge sauce! Son #3 did confess that he has been known to keep frosted Pop Tarts in his desk at work! I don’t feel the least bit guilty of depriving the 28 year-old baby of the family of Pop Tarts! They both sound good to me, and I bet the brown sugar one with the hot fudge is good also. I have not had Mrs. Richardson’s fudge syrup since I lived in the States. 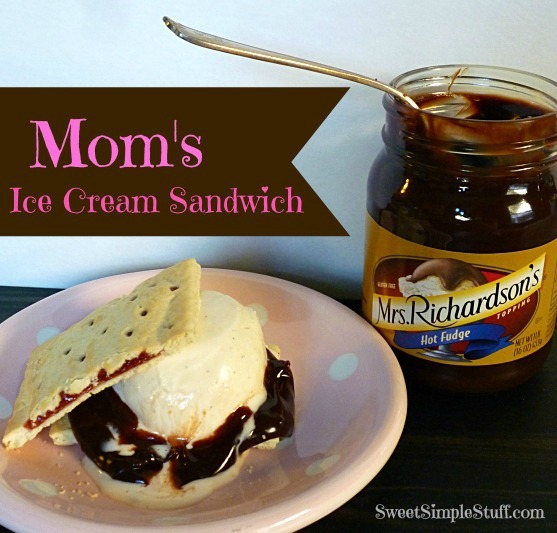 Now that is my kind of icecream sandwich! Oh my goodness, these look awesome!! 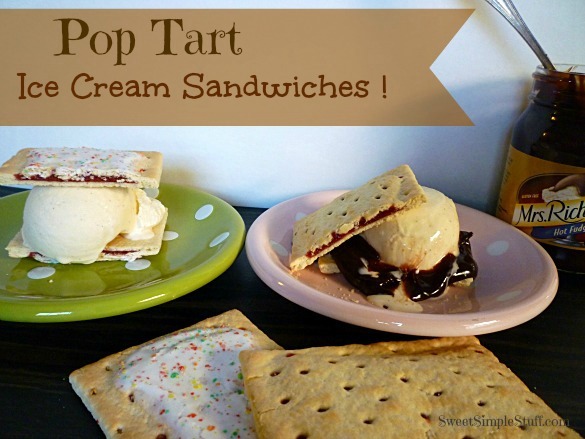 I love the idea of ice cream between two toasted pop tarts, mmm!